The Ake Review, the journal of the The Ake Arts and Book Festival, is looking for submissions for the 2017 edition. 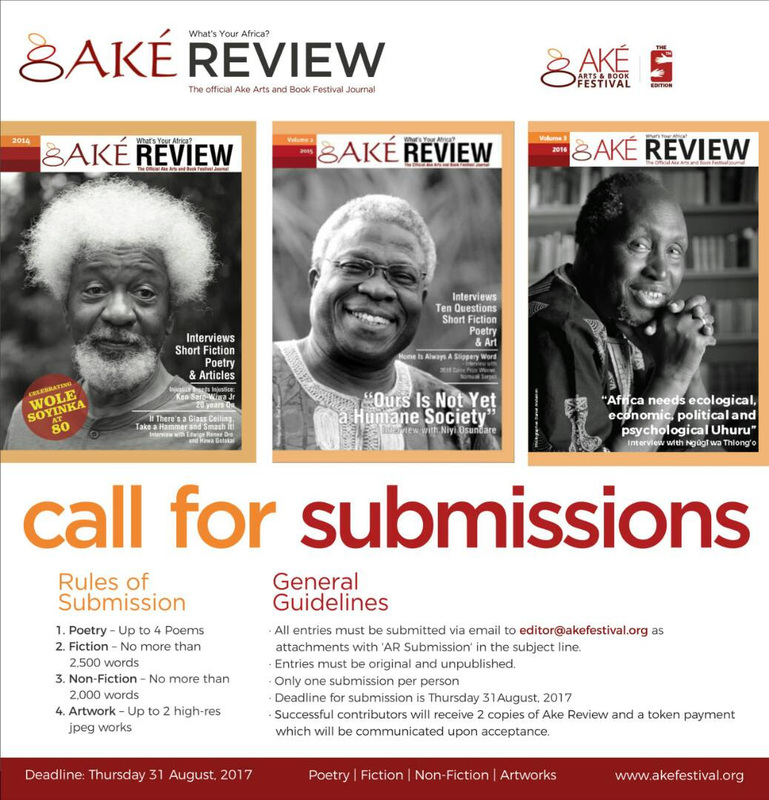 The Ake Review has been one of the most well put out journals fron a literary festival on the continent. The format for the publication usually features content around that year’s theme with the cover being the headliner for that year’s festival. In the past, the issues have featured the mugs of legends of the African literary scene like Wole Soyinka, Niyi Osundare and Ngugi wa Thiong’o. This year the journal will be guest edited by Molara Wood who has built her name in the Nigerian literary scene as a writer and editor. Followers beyond Nigeria might remember in her stint as judge of the Etisalat Prize for Literature 2015 when they gave us Fiston Mwanza Mujila. A few notes for you who wants to enter for this journal. You make one entry and it must be original and unpublished; nowadays the African literary scene checks thanks to some clown’s fraud. If you feel like this is your plate of osuga, then you need to send your entry to editor@akefestival.org as attachments with ‘AR Submission’ in the subject line. Successful contributors receive 2 copies of Ake Review and a token payment which will be communicated upon acceptance.